Processed Materials:Coal, Coal gangue, Coal block, etc. 1. Tyre Mobile Impact Crusher is often used in the site where you may often need to change working site, especially when you process stones used in high way, railway and so on. Therefore, Mobile Impact Crusher needs to be designed specifically for customers according to different materials, capacity and requirements of the final products. 2. Tyre Mobile Impact Crusher can be applied in the industry of metallurgy, chemical, building materials, water power station, etc. The integration unit is easy for installation and maintenance. This makes the whole Wheeled Crusher Plant has the features of longer working time and higher durability. 3. Customers can equip different configuration according to different processing materials, scale and requirements. 1. The integration of high-performance crusher, vibrating screen and belt conveyor. 2. Vehicle installation with belt conveyor and impact crusher. 3. Flexible mobility, reliable performance and easy maintenance. 4. Easy operation, accurate control. 5. Low fuel consumption, low noise. 1. Incorporated design,quick road transportation. 2. Strong mobility,flexible combination, strong adaptability. 3. With support legs on truck,quick to set-up operation. 5. Easily transported on highways and moved to crushing sites. 6. Achieve on-site crushing without material transporting from one place to another place. 7. Start to work soon even in the bumpy ground without reinstallation. 8. 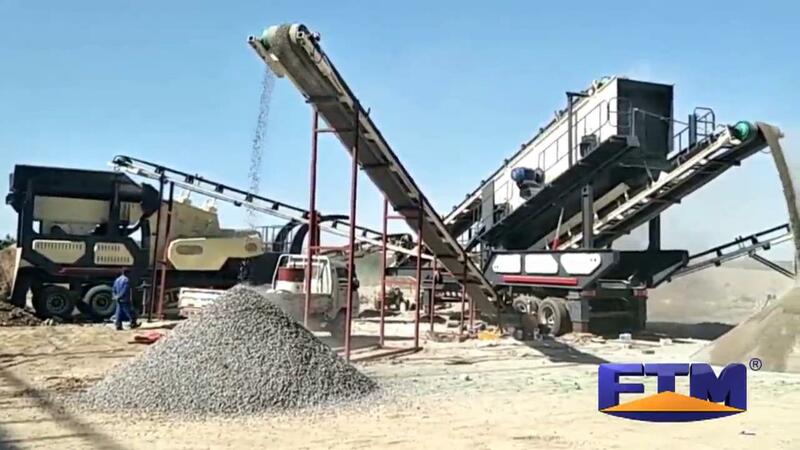 Saves more time and money than fixed crushing plant. 9. Combine different crushing and screening machines, which can satisfy the crushing needs of different materials.